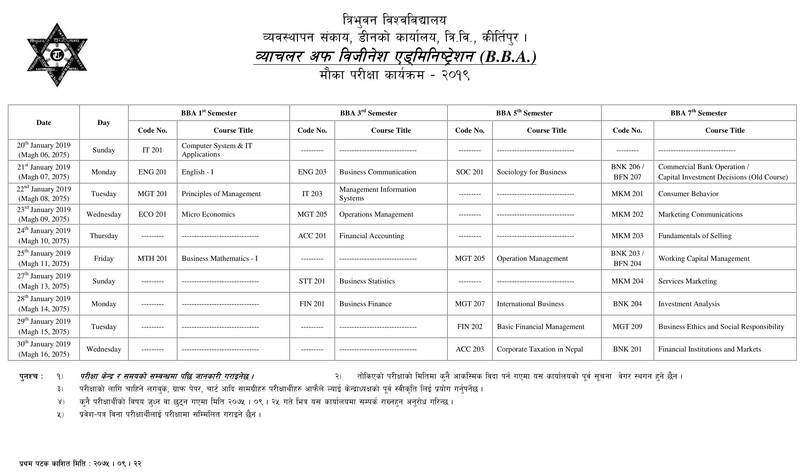 Tribhuvan University, Faculty of Management, Examination Controller Division published amended odd semester make up examination schedule of Bachelor of Business Administration (BBA). 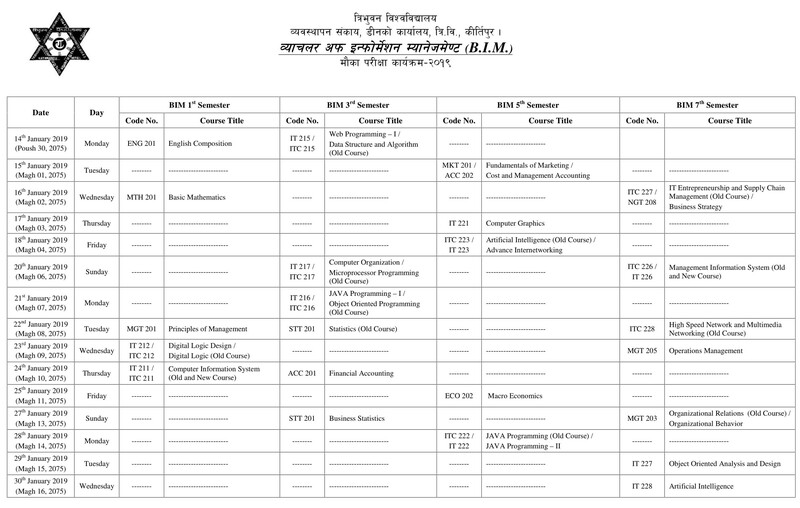 Tribhuvan University, Faculty of Management, Examination Controller Division published the odd semester make up examination schedule of Bachelor of Business Administration (BBA) and Bachelor of Information Management (BIM) 2019. 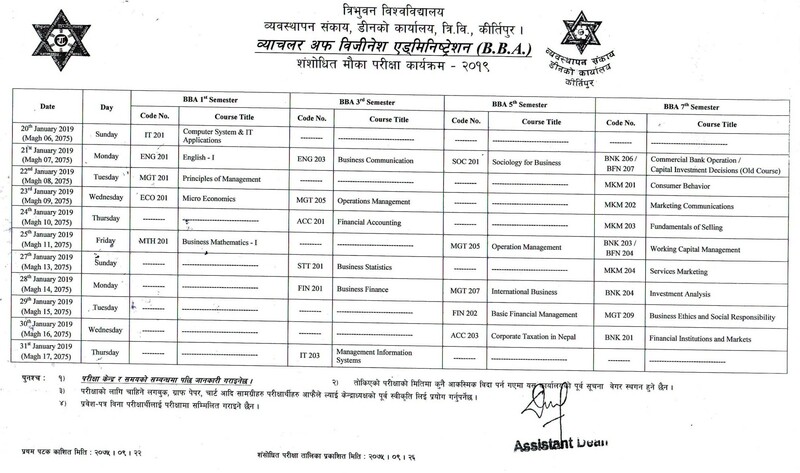 Make up exam for BBA is going to be held from Magh 6, 2075 (20th of January, 2019) and for BIM, the make up examination will be held from Poush 30, 2075 (14th of January, 2019).